A comfortable accommodation with swimming pool and bar. 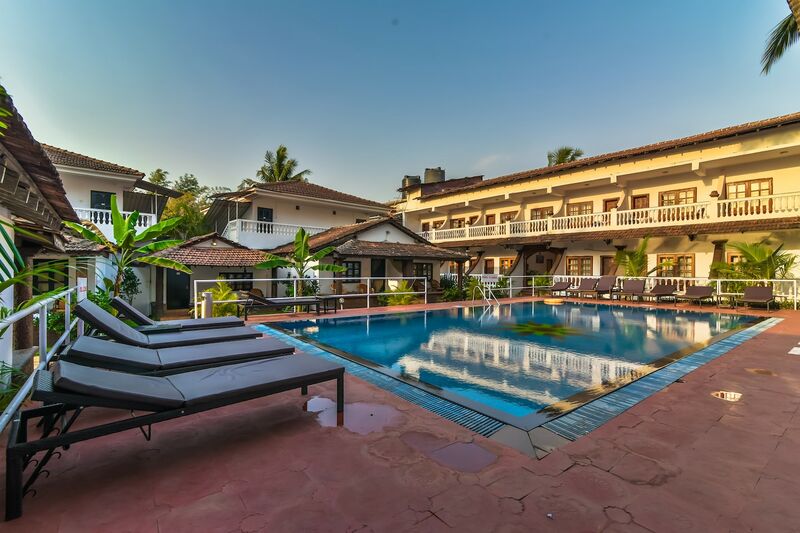 Located in the heart of Goa, OYO 1444 Silver Sands Holiday Village Cottages promises a great experience to the guests at affordable rates. The property is well maintained by a trained and skillful OYO staff who ensure all your needs are catered to. Head out to visit the key attractions of Goa like Church Of St Alex Goa, Casino Palms and Casino Pride. Need cash? There is HDFC Bank Branch / ATM, Axix Bank ATM - and HDFC Bank ATM nearby this property.